Dear Value Candidates. 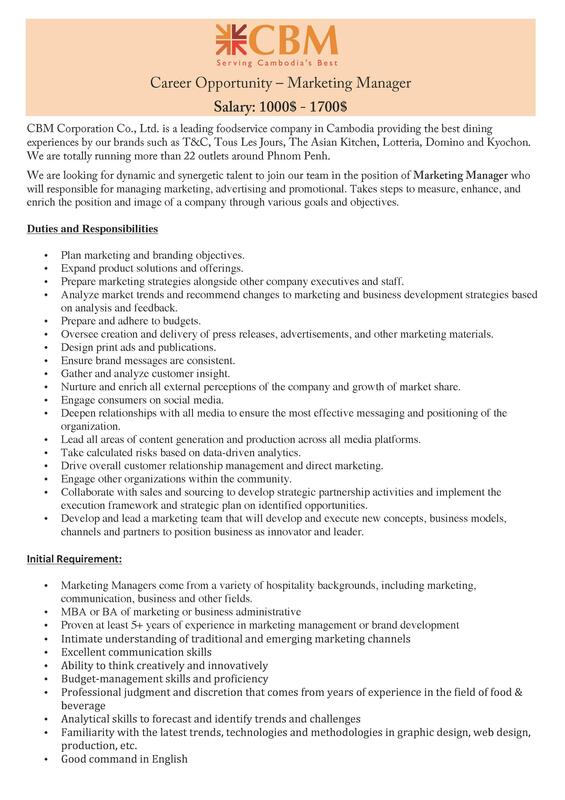 CBM is seeking for a potential candidate for the position of Marketing Manager with salary rate from 1000$ - 1700$. Please kindly find attached file to see the job description of Marketing Manager position. Interest candidate please send your CV & Cover letter to email: chenda@cbm.com.kh or ask for further information by phone contact 093 301 222. We welcome for your apply. Have a nice day!